Due to its weights, a specially designed shape, perfect distribution of centre of gravity and alignment the Exact products are the best choice for longer-distance outdoor (and indoor) shooting. We guarantee the quality of the products, the rest of successful shooting is entirely up to you ... 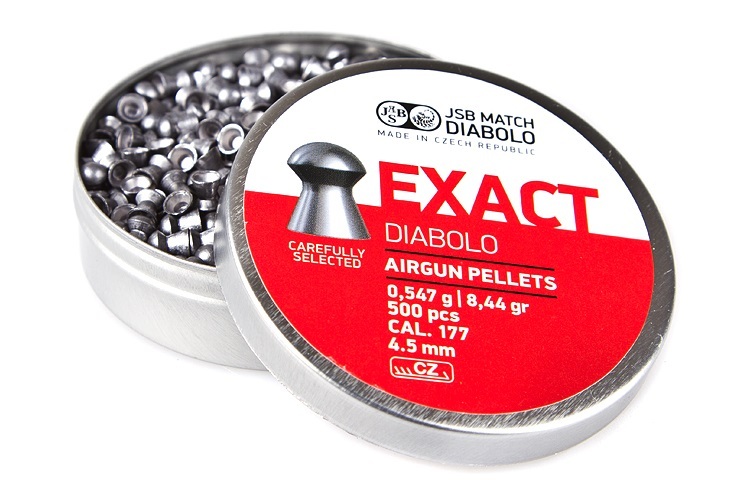 The whole Exact series is at the top of quality for the sporting and leisure shooters of the Field Target discipline (outdoor shooting up to 50 meters), hunter and enthusiasts testing the air guns in extreme distances (up to 200 meters) and it is necessary to mention, that it is very successful. At least 90% of all participants at the Field Target World Championship in Italy 2011 used one of our Exact pellets.